When you eat yogurt, it's probably because you want to drop a few pounds or snack on something tasty and refreshing. But, if you are a mouse at least, your favorite bacteria culture treat could also give you huge testicles. That's what biologists at MIT discovered when they were testing the effects of yogurt on obesity. They fed three groups of mice high-nutrient yogurt, standard mouse food, and low-nutrient food meant to stand in for the crap we the morbidly-obese American public consumes. 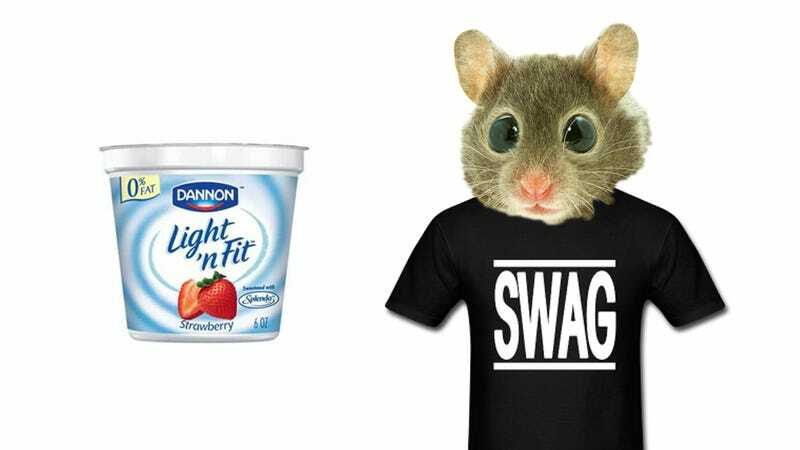 Not surprisingly, eating healthily produced the best results: The yogurt eaters had "luxuriantly silky fur" and "projected their testes outward, which endowed them with a certain 'mouse swagger.'" Mouse swag!